Count in fractions in halves to twelfths up to 4 wholes, forwards and backwards. Uses pictures and number lines to illustrate. 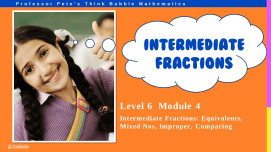 Convert between mixed numbers and improper fractions. Mental calculations of converting a mixed number to an improper fraction, and an improper back to a mixed number. 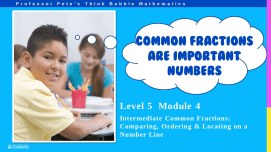 It is recommended to use Fractions Counter lesson plans 5 & 6 first, as these are advanced worksheets.